The title “Rocky III” is actually displayed on screen three separate times at the start of the film. It first scrolls onto the screen from right to left, then is spelled out in fireworks and finally appears in simple text at the bottom right of the screen, several minutes later during the opening credits. In addition to continuing his role as a singer, this time as the ‘headliner’ in Rocky’s palatial gym, Frank Stallone (Sly’s brother) also plays one of the fighters in the boxing montage at the beginning of the film. 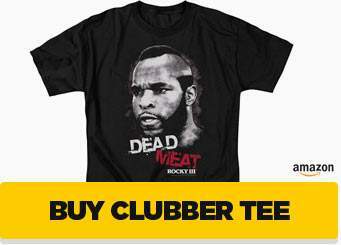 The rematch between Rocky and Clubber Lang is the only fight in the Rocky series that does not go a full 15 rounds. It lasts only 3 rounds. Sylvester Stallone’s first wife Sasha was the blonde groupie who asked for and got a kiss from Rocky during his public training session for his first fight with Clubber Lang. Before the final fight with Clubber Lang, the crowd scenes contain the picture boards of Rocky and Apollo in the background, clearly the same crowd footage used in Rocky II. In 1982, an official Rocky pinball machine was produced and hit arcades across the country. Although a similar pinball machine appears at the beginning of Rocky III (the game that Paulie smashes with his liquor bottle), this particular machine was never mass-produced but was merely a prop created for the film. It sported a specially made backglass created just for the movie. 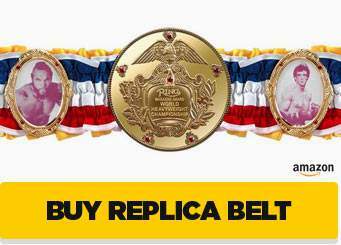 This was the first sequel in which Rocky is seen wearing his famous gold boxing glove necklace. 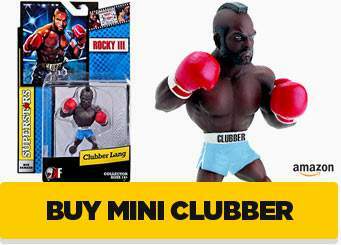 It was later explained in Rocky V that the tiny boxing glove was once one of Rocky Marciano’s cuff links. The shooting of the boxing/wrestling match between Rocky and Thunderlips (Hulk Hogan) took a total of ten days to complete. Hulk Hogan was fired from the WWF for taking the role of Thunderlips. 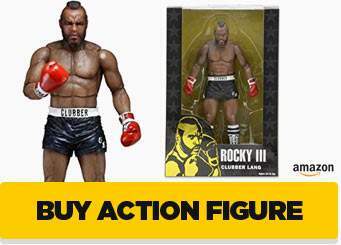 Heavyweight boxer Ernie Shavers was considered for the role of Clubber Lang. This was because Sly thought that he was good enough to fight a real boxer, instead of an actor. But in a practice fight Shavers, taking it easy on the star, broke two of Stallone’s ribs in less than three rounds, so he was immediately dropped from consideration for the role. Rocky (1976) and Rocky II (1979) are both set in 1976, and the events in Rocky III are said to take place three years later, making it 1979. But the newspaper depicting the wrestling match with Rocky and Thunderlips gives a date of 1982.